David Cameron’s investment in the Cayman Islands-based Vietnam Enterprise Fund emerged after the Panama Papers [Image: Hannah McKay/PA]. This Blog was one of many social media sites, organisations and individuals that called for David Cameron’s resignation when the ‘Panama Papers’ scandal broke earlier this year. Now, his former director of communications has revealed that he was close to resigning and the revelation that he had another tax-avoiding foreign holding could have forced his hand. But Craig Oliver said it never came to that because he simply did not release the information. Nothing in the Guardian article quoted below shows that Cameron was accurate in the statement he eventually released, that “the prime minister, his wife and their children do not benefit from any offshore funds”. And public opinion is likely to have swung against him in a big way if the Vietnamese holding had become public knowledge. So get angry. Politicians are supposed to declare all their assets and interests to the Independent Parliamentary Standards Authority but the then prime minister had clearly flouted this rule. It makes no sense to say he had an investment that did not benefit him or his family. Why have it, then? But our watchdogs appear to have let us down. I think this deserves greater investigation. How many more MPs are fabricating their entry in the register of members’ interests? Downing Street officials were alarmed to discover that David Cameron had a holding in a Vietnamese investment fund registered in the Cayman Islands at the height of the Panama Papers revelations, according to a book by his former director of communications. The Vietnam Enterprise Fund is run by Dragon Capital in Vietnam, but registered in the Cayman Islands. Dominic Scriven, the chief executive of Dragon Capital, confirmed that Cameron had previously invested in the fund, and believed his father, Ian Cameron, had decided to invest the money. In an attempt to control the story in April, Downing Street brought in a series of experts to try to make sense of Blairmore’s tax affairs, Oliver’s book said. They also carried out an analysis of Cameron’s personal tax arrangements and it was during this that the Vietnam Enterprise Fund investment emerged. 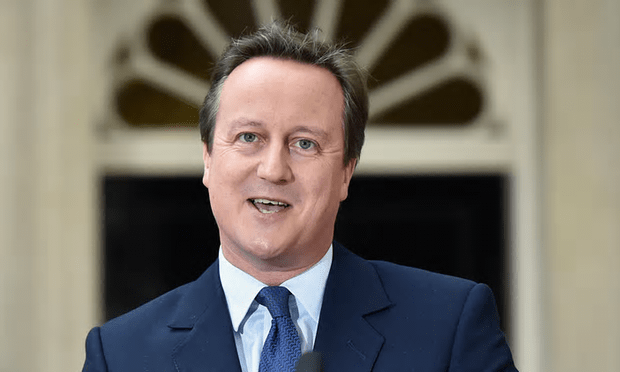 At the time, Cameron was facing one of the worst crises of his premiership, with Oliver acknowledging that at one point, he thought the then prime minister might have to resign over the Panama Papers. Oliver wrote that Cameron and his wife, Samantha, had “an unhappy couple of hours in calls” with their accountant, before putting out a statement saying that the “prime minister, his wife and their children do not benefit from any offshore funds”. Another mealy mouthed Tory sprout following in the footsteps of Carter & Co. This was at worst an outright lie, at best an attempt at deception. Is it in the public interest to investigate? only if the Independent Parliamentary Standards Authority are interested in honesty & justice, without perversion! As you comment Mike, “it makes no sense to say he had an investment that did not benefit him or his family. Why have it, then?” I feel it is only fair on all tax payers to ask him directly. To investigate and bring to justice, we need a proper independante team who is willing to apply the rules on individuals with the same tarif regardless. Does a team like that exist in the world? It is forbiden to get caught. Dishonesty, Fraud and Corruption. Tories are up to their ears in it. The question posed by ‘rupertrmitchell’ is valid. If it didn’t benefit him or his family, who did it benefit? That was my question, posed in the article, in fact. Another case of politicians living in a parallel world to the rest of us. So along come the hard right of the PLP and instigate a leadership contest as a distraction. That came a little later. Tax dodgers use very powerful and expensive lawyers & accountants who are also Seconded to the Tory Government as “Special Advisors”!! Conflict of interests? Yes, of course!! This is “mega corruption” British style!!! In the USA, if one evades taxes, he/she goes to jail!!! Really? If so, then we need to talk with their tax people. When tax dodgers evade taxes in the UK, our public services(e.g; schools, hospitals, libraries etc), the poor & the vulnerable lose out. At present, the poor and the vulnerable are forced to stomach “never ending austerity” in Britain. Haven’t you heard about the issue of “revolving door” which was discussed during a recent (Westminster)Parliamentary Select Committee Proceeding. @ Giri Arulampalam, Of course i’have heard of the revolving doors, that’s why i commented above, ” it is prohibited to get caught”. We need to wake up to this mascarade of the Cabale who is dictating to us how we leave, never mind how hard you can work the system they put in place will never make you rich, only if you belong to that “elite” Bush/Clinton/Rotshchild/Rockefeller. Only when a majority of us wake up and ready to disobey their regime that we can make change otherwise will have to wait suffer and vote for the same people to enslave us more.